My homemade creole seasoning recipe blends a mixture of chili powders, herbs and spices you can use to season just about anything. Learn how to make it your own. 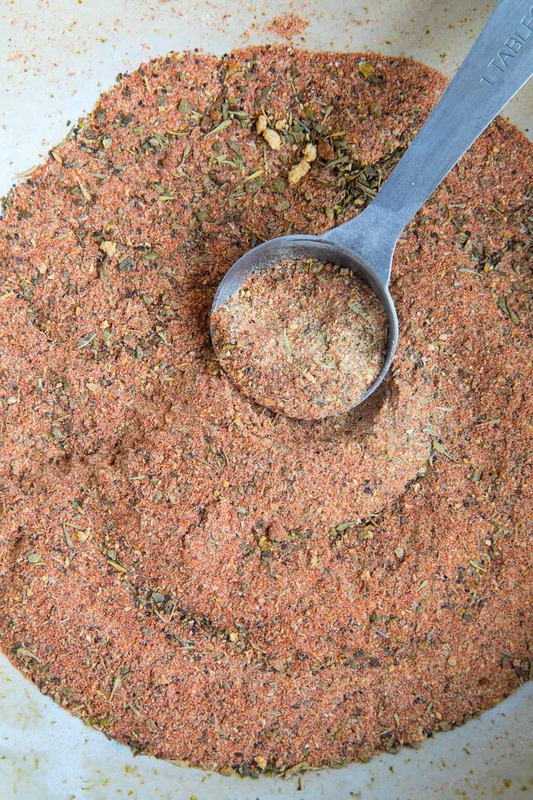 When it comes to seasoning blends, Cajun and Creole seasonings are difficult to beat. Creole in particular. Creole seasoning is filled with the perfect blend of dried peppers, herbs and spices that develop flavor in just about anything you cook. You can easily purchase a good Cajun or Creole seasoning blend at your local grocer, but no two brands – or cooks! – make it the same. It is so much better to make it at home, where there are certain benefits. 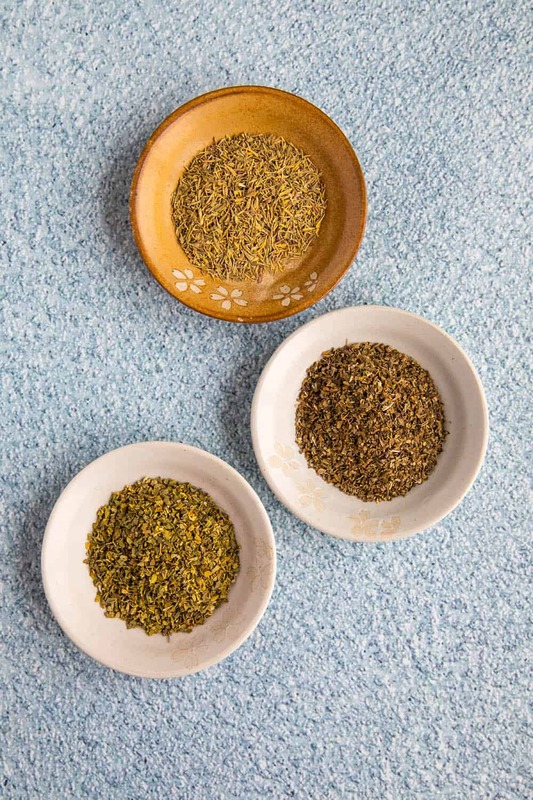 Why Make Seasonings at Home? Quality Control. 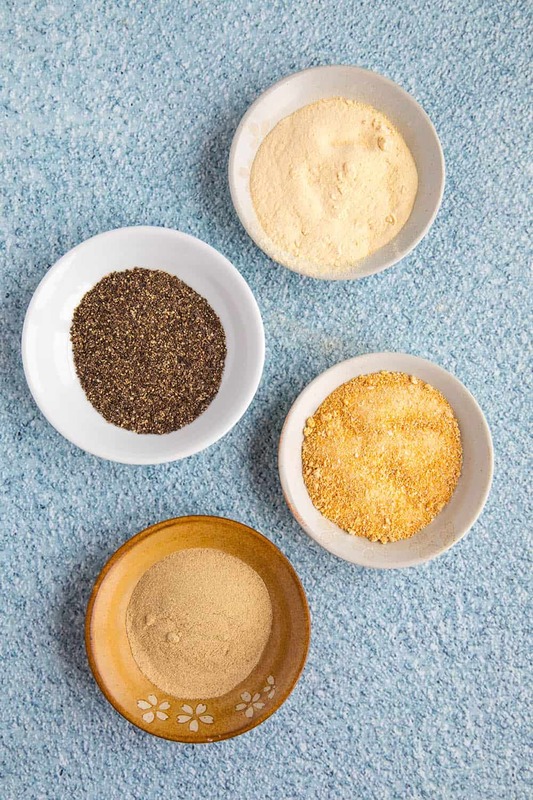 If you make your own seasonings at home, you start with your own fresh ingredients. Who knows how long those pre-made blends have been sitting on the shelf? Customization. When you make your own blends at home, Creole seasoning in particular, you are free to add in any extra “special ingredients” you prefer. It will totally your own. More on that below. Salt. Some mass market blends have a bit too much salt, and sometimes you don’t want salt at all. At home, you can make a no-salt Creole blend and add in the salt during cooking, when it should be added. Meaning, hey, pretty much however you’d like to do it. Check out my Homemade Cajun Seasoning Recipe for reference. That’s not to say you can throw in ANY ingredient. I love turmeric, but don’t believe it has a place in Creole seasoning. What Ingredients are in Creole Seasoning? There are other ingredients you can include. One chef I spoke with was finishing up her recipe to sell in her store. She includes dried lemon peel. I think that would be a great addition! A good creole blend really breaks down into three major components: The Peppers, The Herbs, and the Spices. For the peppers, I’m using both cayenne powder and paprika. For the herbs, I’m using dried oregano, basil and thyme. And, for the spices, I’m using garlic powder, onion powder, black pepper and white pepper. Notice I do not have salt in the recipe. You can, of course, include salt in the blend if you wish. However, I find it easier to add salt by itself. Sometimes I may want to season something and don’t want salt right away because it draws out moisture. The choice is yours. I find it better to add it alone at the time of need. 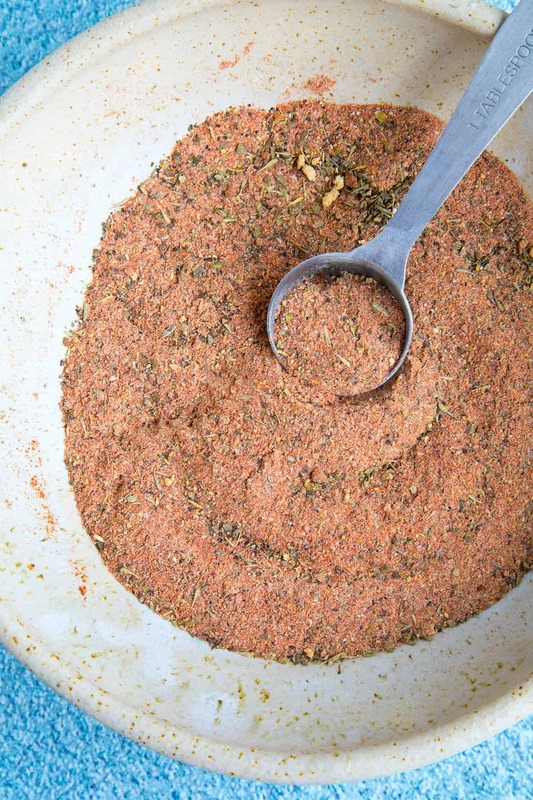 Let’s talk about how we make homemade creole seasoning. 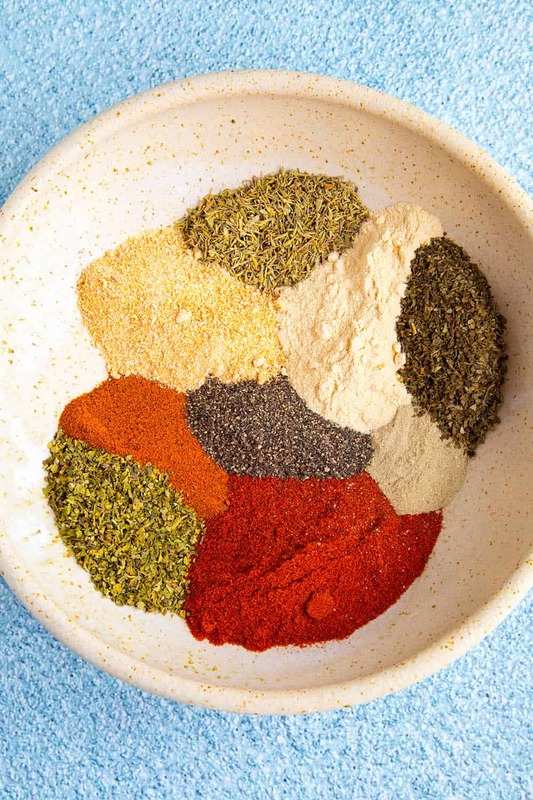 Simply add your collection of chili powders, herbs and spices to a bowl. Mix them all together, like so. Store in an airtight container. Boom! Done! It really is quite simple. Store your seasoning blends in an airtight container. They will last a year or longer, but they do start to lose their potency after a couple months. Again, you can customize the recipe with your own added ingredients, but more importantly, with your own ratios. Looking for a hotter blend? Add more cayenne pepper, or better yet, a pinch of ghost powder like I add to my Cajun Seasoning blend. Some common questions I’ve encountered with this spice blend. What is Creole Seasoning Vs. Cajun? Cajun and Creole seasoning are actually very similar, and to most people they are interchangeable. 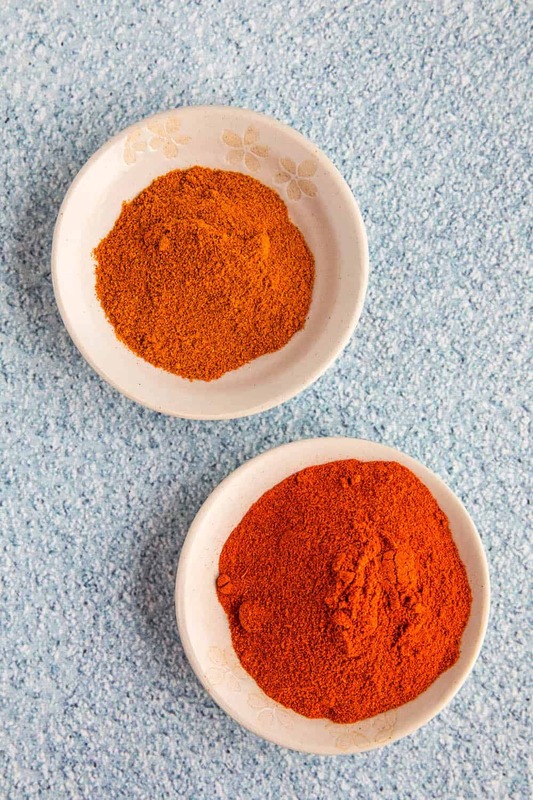 Long ago the distinction was that Cajun seasoning was simpler, consisting primarily of only 4-5 ingredients, mostly paprika and/or cayenne, salt and pepper, and sometimes oregano. 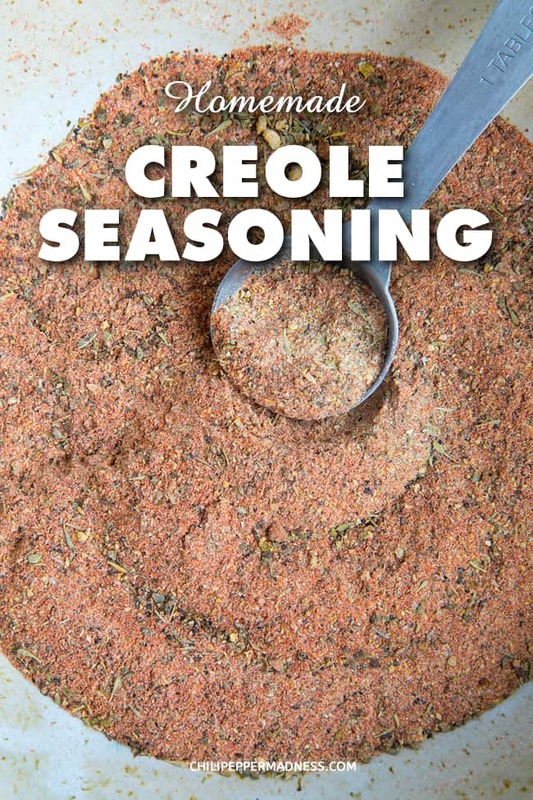 Creole seasonings build from that base by adding other spices and herbs for a more complex blend. However, as time has passed, the two have commingled to become much more similar. What Are Good Substitutes for Creole Seasoning? If you find yourself in a bind, any Cajun seasoning blend will be a perfect substitute for Creole seasoning. Another option is to use the component ingredients – paprika, cayenne, garlic powder, onion powder, salt and pepper, dried oregano, basil and thyme. If you don’t have all of these, the most important are paprika and/or cayenne, garlic powder, oregano, salt and pepper. You can also use some other seasoning brands like Old Bay. It won’t be a perfect match, but will do in a pinch. Check out My Foodie Trip to New Orleans to learn more about it. That’s it, my friends! I hope you enjoy the recipe. Get mixing and keep it spicy! Try this blend with any of my Cajun and Creole Recipes. Mix all ingredients together in a small bown until well blended. Use as needed.